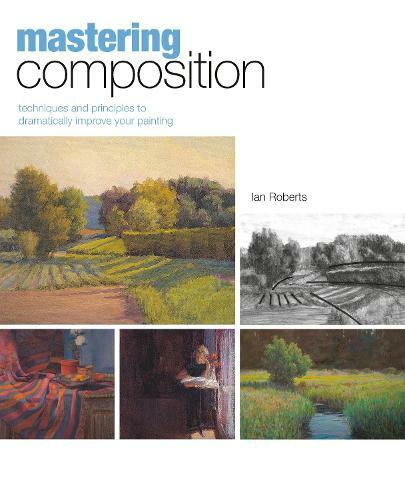 The path to better painting begins with Mastering Composition. This effective guide blends clear, visual instruction with 5 step-by-step demonstrations to show you how to plan and paint your best work yet. Composition is the key, and here you'll learn to design paintings with new skill and confidence. It all begins with the armature or structure of the picture plane. Every great painting has one, and you'll see through several famous examples exactly how the Old Masters used armatures to create movement, narrative, harmony and fluidity. Based on these examples, you'll practice what you've learned following a series of hands-on demonstrations. Once you understand the basic principles of design, you'll be amazed at how quickly and effectively your compositions come together. Soon you will be painting more boldly and confidently than ever before with less reworking and overworking. Whether you're a beginner looking for basic instruction or a more advanced painter troubleshooting a specific problem, the proven methods in this book will work for you. Ideal for all mediums, Mastering Composition gives you the knowledge you need to create powerful paintings out of every subject.